A low carpet of small, rounded green leaves, spreading to form a thick patch. 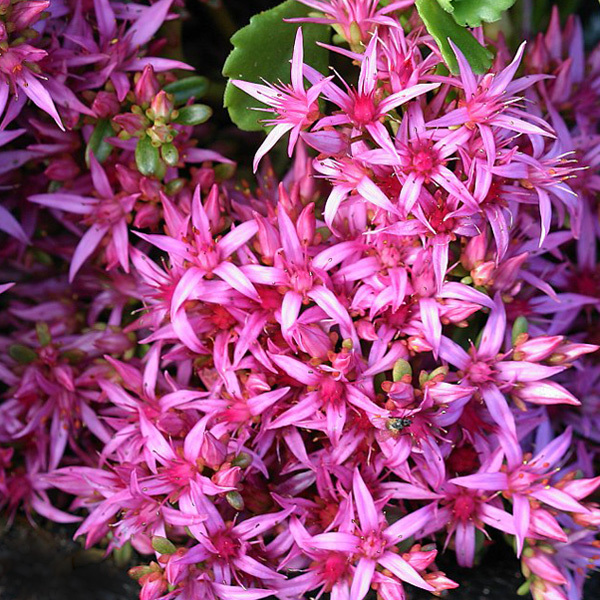 Clusters of bright pink star flowers appear in summer. A fast grower. A good choice from tubs ad mixed containers. Shade tolerant groundcover. Attracts butterflies and is resistant to rabbits and deer.